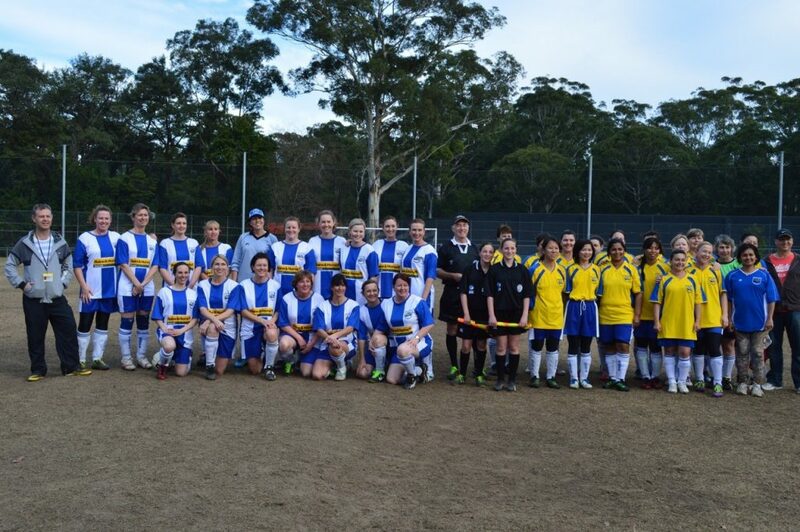 Beecroft FC women’s and girls’ teams play in the North West Sydney Women’s Football (NWSWF) competition. We have team across all age groups. U7 to U11 teams play Small Sided Games (SSG). These games are non-competitive and follow the SSG guidelines of the Football Federation Australia (FFA) with the number of players, field size and length of the game changing progressively as the teams get older. U12 to U18 play in the junior competition with all teams playing 11-a-side on a full sized field. The length of the game and ball size change progressively as the teams get older. All Age and O30s teams play in the senior competition, again 11-a-side on full side field. All games are played on a Sunday, typically on fields in the Morrison Bay (Putney) and Meadowbank Park area. SSG and junior games are usually played in the morning, followed by All Age and senior games in the afternoon. Beecroft fielded its first O35 team, the ‘Mumbats’ in 2012, and then a second team was formed in 2013. The overarching aim of the Mumbats is to have a lot of fun, whilst getting some exercise. Both teams have been highly successful in achieving that goal, and in doing so have also been known to win a few games, with one of the teams winning the Pennant competition in only its second year! For more information about women’s & girl’s football at Beecroft FC contact our Women’s Coordinator on womens@nullbeecroftfc.com.au.